This is the first time I’ve actually felt like I might have something I want to “blog about.” I wonder if anyone’s listening? If you are, let me know. A conversation with Eleanor Lerman about my current manuscript, Aleph, broken, raises the issue of whether there is an audience any more for “Jewish” writing. My poems wrestle, in a part that seems pretty central to the whole, with what I mean by thinking of myself as Jewish. It is apparently not the same thing more conventional Jews mean—by conventional, I mean members of synagogues, although I am one; people who, unlike me, think of the synagogue service and the religious tradition as meaningful to them, for whatever reason; Zionists; people whose identity is shaped more than mine was by the Holocaust. I don’t know if secular Jews think about these questions much, although I know that at least a few do, probably many of them subscribers to my friend Larry Bush’s magazine Jewish Currents. The fundamental question: if you don’t believe, what do you think it means to consider yourself a Jew? Someone who commented on my collection said it’s about the way my experience of being Jewish is not what I was told it would/should be. That was very useful. More broadly, I think it’s about the way life has not been the way I was told it would/should be. Eleanor questions whether I should focus my “pitch” for the manuscript on a potential (or theoretical) audience of secular Jews who feel the same perplexities I do. She’s not convinced that I should, purely from the point of view of finding a publisher and, later, an audience. Anyway… Here’s what I’ve been thinking of as my “elevator pitch,” the short speech you make to a captive audience “in the elevator” to pitch your project. I’m going to follow up, maybe tomorrow, with some thinking about a broader question – what does the second generation of any immigrant group make of its “roots,” when they have begun to attenuate but still have some resonance? Does my book deal with issues other descendants of immigrants might recognize? Many collections of Jewish poetry take the religious tradition as a given. However, this leaves out the large percentage of American Jews who are secular and whose relationship to Judaism is ambiguous or conflicted. Aleph, broken, a collection of poems by Judith Kerman, will appeal to such readers. It explores an unconventional but not atypical Jewish identity, one that is scientific and secular but yearning for connections usually found in Jewish observance, history and belief. These poems, which explore the ways in which life and Jewishness are not what Kerman was taught to expect, reflect both real and imagined personal experience. Beginning with her family origins, the book grapples with such contemporary issues as sexism, antiSemitism, the Holocaust, aging and death, ecology and social justice. Kerman’s explorations of other cultures, especially Latin America, bring her back to questions of her personal identity. Kerman was raised in an atheist home with a sense of history and progressive politics as part of Jewish identity. She acquired a broad knowledge of both the Hebrew Bible and Jewish culture through reading. In her late forties, she became active in Jewish religious and community life. However, the conventional understanding of Jewishness remains problematic for her, while the tradition of argument, exploration and dispute remains compelling—a challenge faced by all those who still feel rooted in their culture of origin while finding a deeper meaning in the great scope of human experience. This is actually a little scary – might it lead me to have to revise the book again? 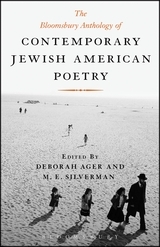 The Bloomsbury Anthology of Contemporary Jewish American Poetry edited by Deborah Ager and M. E. Silverman, published by Bloomsbury. An Outriders Anthology: Poetry in Buffalo 1969-1979 and After, Selected with an Introduction by Max Wickert, published by Outriders Poetry Project. This makes five. What a year! I love the variety of birds on my small property (less than 1 acre). I can’t identify many of the calls, although I’m trying to learn them. But I grew up on Long Island with a bird book and binoculars always near the dining room window, so my visual identification skills are pretty good. 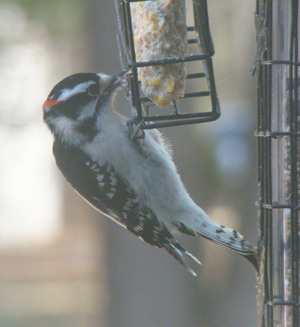 A downy woodpecker, enjoying my suet cake, February 2013. 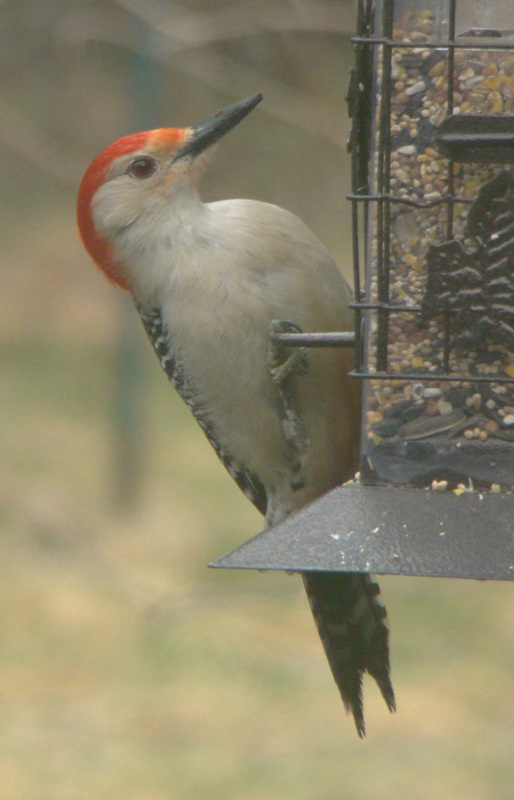 A red-bellied woodpecker, Spring 2013. Why don’t they call it red-crested, or red-crowned? You can hardly ever see the red on the belly. Beats me! 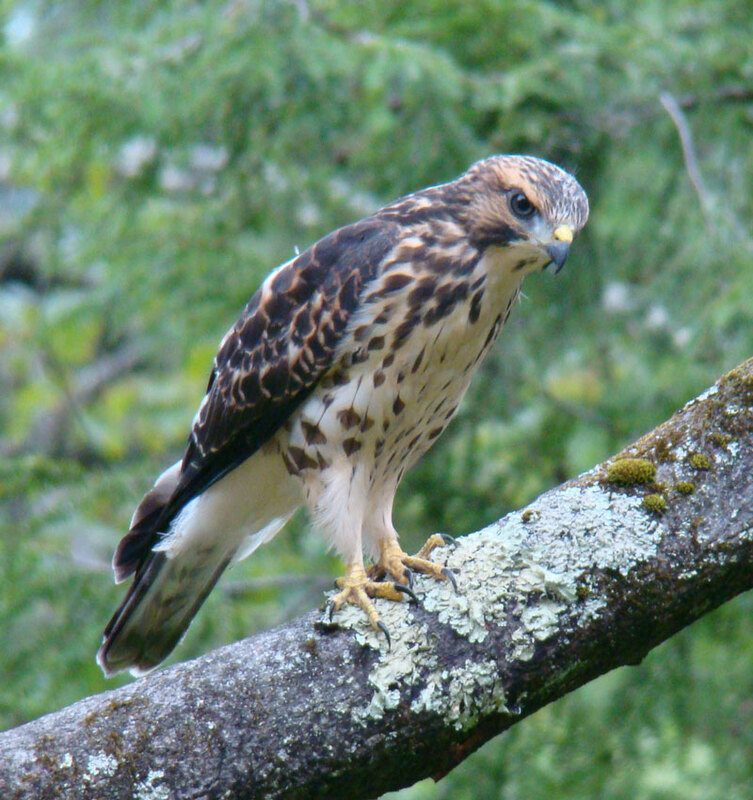 I took this shot, a juvenile broad-winged hawk, in summer 2010. A minute later, he made a kill. Here’s a poem I like, recently published in Earth’s Daughters magazine. It’s the title poem of my currently-circulating manuscript. will creep but no one hears it. He is the first son. Describe the ache to say. and fall apart, flakes of burnt paper. He is a window with a missing pane. Wind blows through on winter nights. as he traces the lines of text. 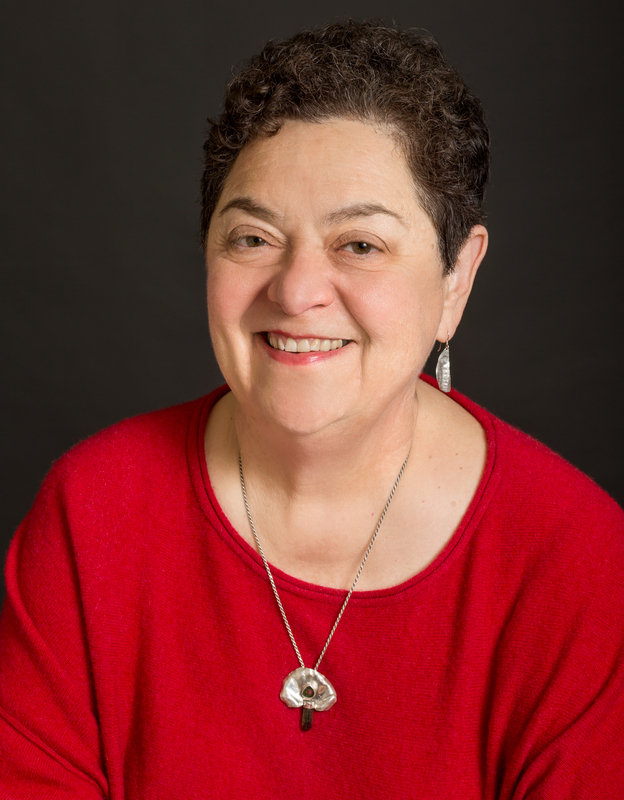 Judith Kerman is a poet, performer and artist with broad cultural and scholarly interests. She has published eight books or chapbooks of poetry, most recently Galvanic Response from March Street Press. My revised webpage is powered by WordPress. I may not blog very often, but I will post my current activities and publications, as well as my resume, bibliography, photos, etc. The video documentary, Carnaval in the Dominican Republic, which I made in 2005, is now available on YouTube.